Cocoa shaker and stencils in one! 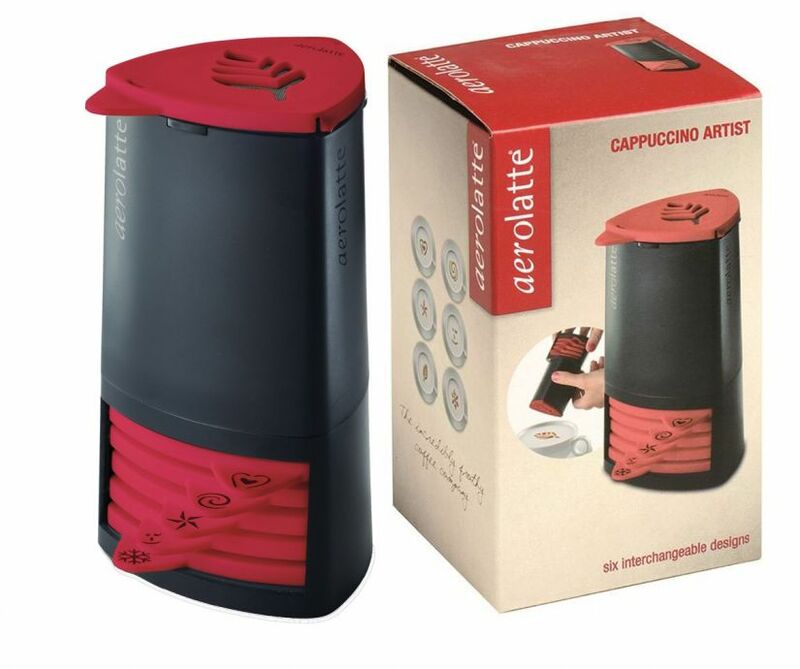 Unleash your inner barista with the Cappuccino Artist. Choose from one of six designs housed in the cocoa holder, pop it on top, invert and twist decorating your luxurious coffee with a flourish of cocoa. The package includes a cocoa shaker with 6 different stencils, and they can also be used to decorate cakes, pastry and so on. The stencils are made of plastic and come in a metal tin.